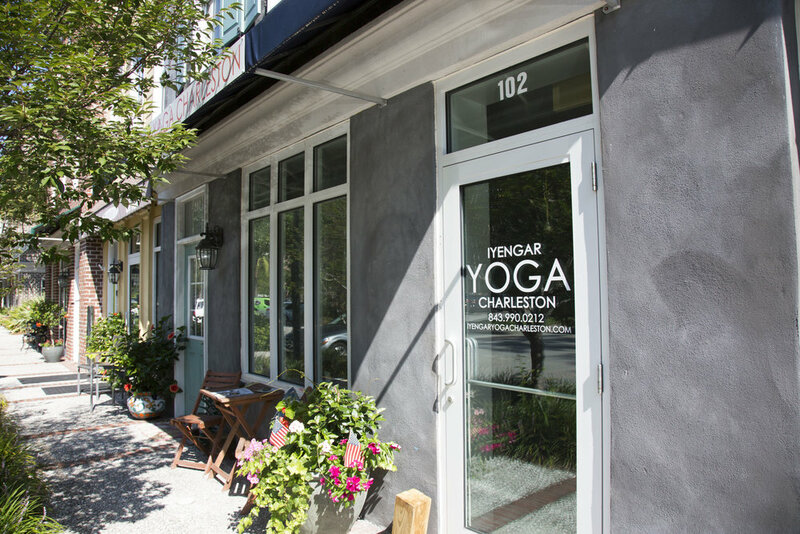 IYENGAR YOGA CHARLESTON is a yoga studio located in Mount Pleasant, South Carolina. We offer classes focused on the traditional method of Iyengar yoga, the first in the Charleston area certified to do so. Whether you're new to yoga or a more seasoned student, Iyengar Yoga Charleston offers a variety of classes and workshops to help advance your practice. Please visit the Schedule page to learn more about our upcoming classes. Intelligent and transformative, Iyengar yoga is a complete approach to life that provides practical tools to create and maintain bodily health and vitality, mental clarity, emotional stability, and spiritual well being. Developed by yoga master B.K.S. Iyengar, this method of yoga is grounded in the ancient Indian tradition and philosophy of Patanjali's Yoga Sutras.